THE SKILL-BASED SURFING ATTRACTION WITH A PROVEN PIPELINE TO PROFITS. 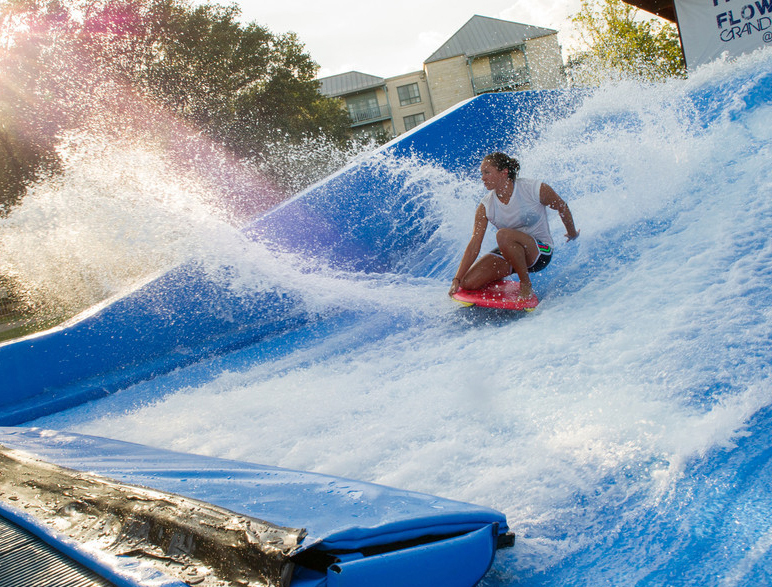 Differentiate your park with a skill-based surf ride that attracts new visitors and keeps them coming back for more. 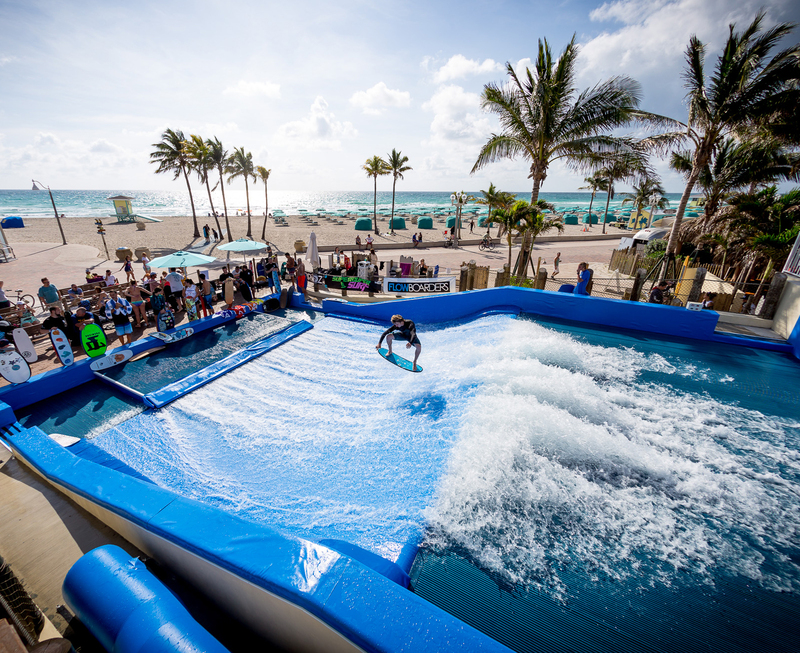 Installed in over 200+ locations around the world, only the FlowRider® offers an unparalleled surfing experience sure to set your property apart. Easily increase attendance and revenue to your hotel, ski resort, water park or other aquatic facility with the addition of a compact and self-contained FlowRider surf simulator. This smartly designed attraction attracts board sports enthusiasts of all ages, while having the additional benefit of drawing in the desirable teen and young adult demographic, boosting overall attendance by 20% to 30%. The FlowRider provides both first-time flowboarders and long-time enthusiasts with a challenging skill-based experience, as the sport’s never-ending learning curve forever challenges boarders to develop new tricks. Turn your existing footprint into a profit center that attracts new visitors and keeps them coming back for more. You don’t have to learn how to ride the waves to enjoy the FlowRider. Watching others in action is a fun and social event, providing additional revenue-generating opportunities from spectators including food and beverage sales, retail sales, and event sponsorships. Revenue can also be generated based on a variety of options and skill levels, such as whether a rider body boards, needs paid lessons or flowboards standing up. Monthly memberships and season passes can be offered to target repeat customers dedicated to further honing their skills. Get on board the Flowboarding team! A sanctioned sport complete with major national and international sponsorships, organized competitions and leagues. Simply put, there is no greater aquatic system available today that can generate as much revenue in as little space as a FlowRider. 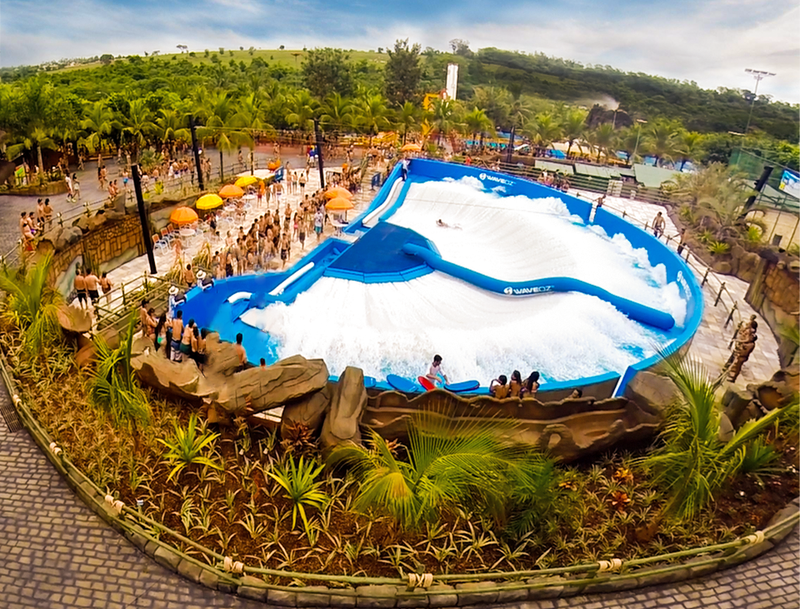 FlowRider’s patented ride surface technology is the cornerstone of our success as it puts our customers’ patron safety first. Made of tensioned fabric and inflatable surfaces, it is comparable to the feel and behavior of a trampoline. 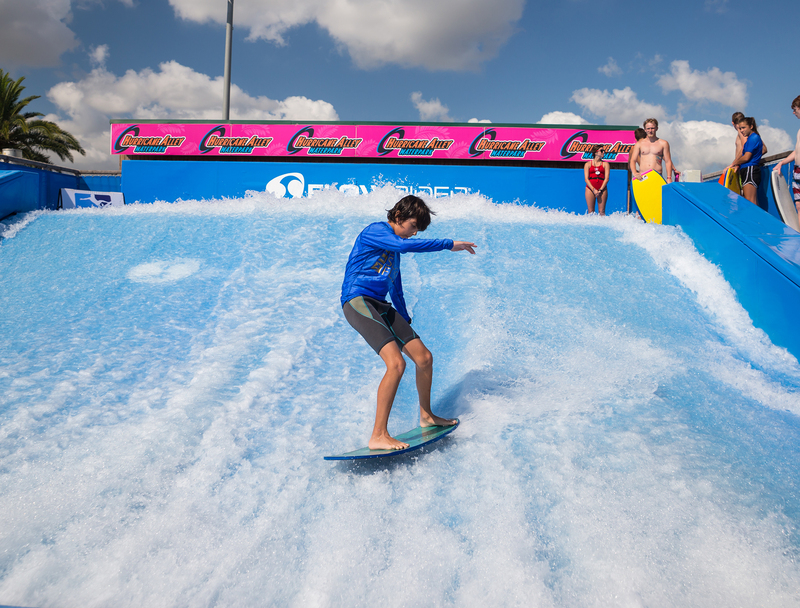 No foam padding over hard substrate can even come close to absorbing an impact like the surface of the FlowRider. At FlowRider we are continuously working to improve and enhance our product. Our proprietary nozzle flap system is more durable and attractive, allowing for better viewing by guests and, most importantly, eliminating the risk of rider contact. And our patented air-cushioned, motion absorbing FlowRider Flow Fence divider allows you to safely and easily employ two riders at a time on the FlowRider Double and WaveOz. 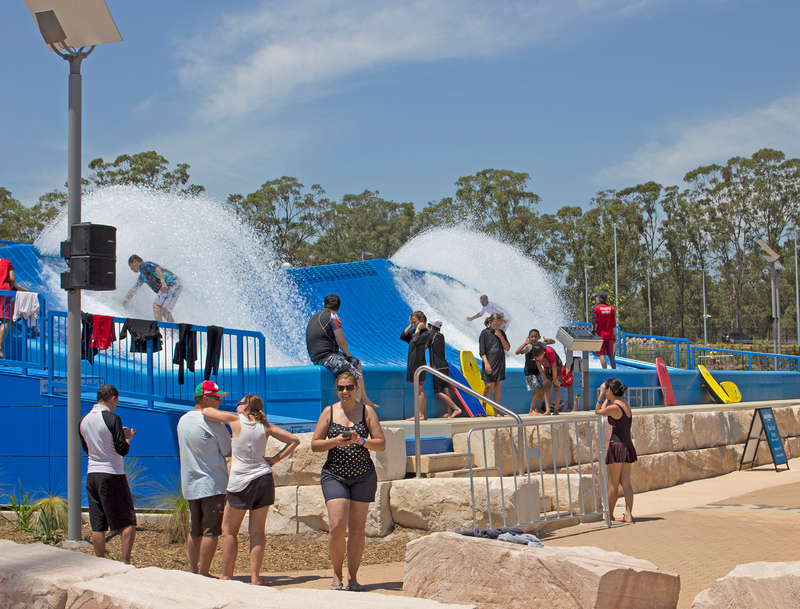 FlowRider Technology Innovations: Download the Guide. ADG is the only authorized FlowRider Service Provider in the United States and Eastern Canada with technicians on board that have been selling and maintaining your FlowRider since the day it was installed. We have access to every drawing of every attraction we ever built – no guesswork on modifications here! And there is a reasonable chance that the person in charge of upgrading your FlowRider, may have been on your original installation team. Your FlowRider Service Technician is available 365 days/year to help ensure your ride is operating at its optimal performance every day you want to operate it! When you work with ADG you get more than just a ride. Our expert designers and engineers customize every aspect of your project to fit your needs, taking you easily from ride concept to start-up like no other company in the industry. Programmed to create results at every venue, ADG can help you add this skill-based attraction to your existing resort, water park, or aquatic center setting. 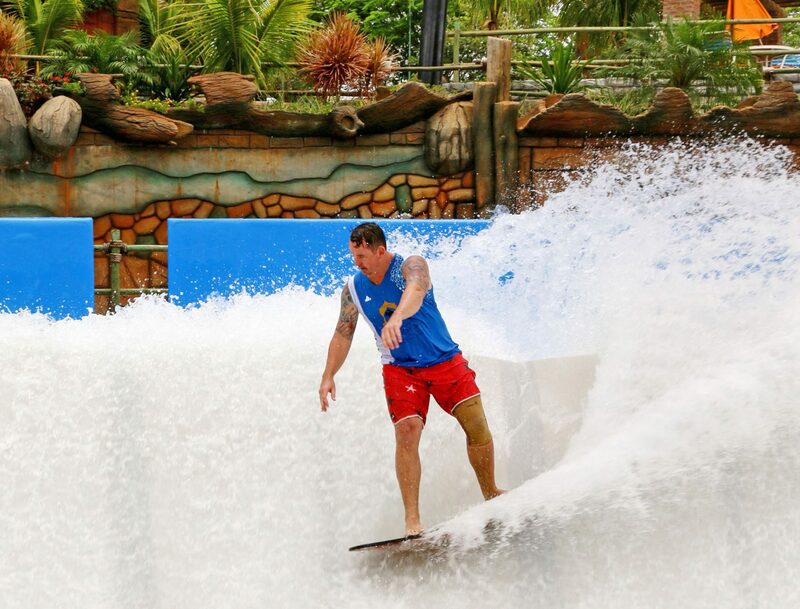 From planning, to programming, to promoting your ride, our Industry Specific FlowRider Planning Guides show you how it all comes together to drive success. 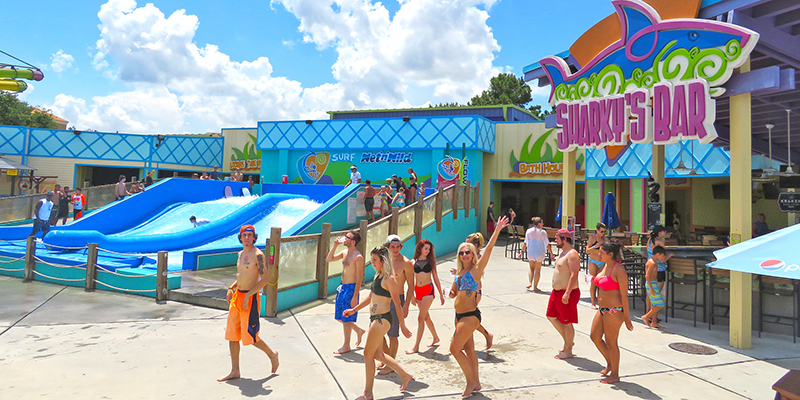 Situated along a popular seaside boardwalk, the new Margaritaville property built their FlowRider in a prime location to appeal to hotel guests and passersby alike.